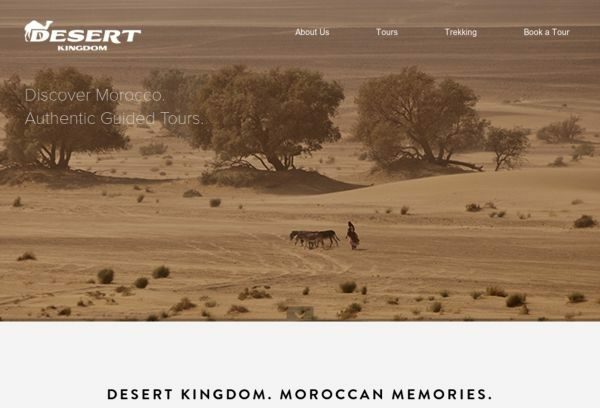 Desert Kingdom's WordPress theme gives you the feel you would expect from a desert tour website. Pages feature a clean, modern look with full width background images that really give you a nice feel when browsing their services. We're a fresh thinking, experienced Moroccan Tour Company. Offering tours and authentic holidays to Morocco.